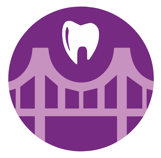 DIRECT Dental is a dental initiative intended to bridge the gap between those who face barriers to receiving dental care and dental students near the end of their training who are able to provide treatment in a supervised environment. DIRECT Dental provides emergency care for those who are in need of dental advice and emergency treatment but are unable to present to private practice due to financial constraints. DIRECT stands for “Dental Initiative Rendering Emergency Care Treatments”. DIRECT Dental will operate out of the Saskatoon West Dental clinic on predetermined Saturday afternoons during the academic year (October-March). The clinic will be managed on a first come, first serve basis where patients are triaged and treated accordingly.